ATTENTION: School groups, scout troops and wayward travellers. After that long drive down the Killarney highway in the middle of the night, you might need a place to rest for a few hours before setting off on your adventure. 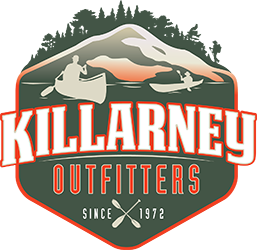 We can accommodate you in our back Killarney Outfitters Back40 Jamboree Field! We are equipped with a large central fire pit and restrooms nearby on location.